Zine Camp, a DIY festival to make zines and friends! WORM’s Avantgardistic State hosts four Craft Camps in autumn, 2017. Rotterdammers, makers and enthusiasts in Netherlands can use WORM’s in-house expertise and facilities. One of which is Zine Camp, now in its fourth edition. It’s free entrance, too! As always, Zinecamp is a place to make zines together, but more importantly you can socialise, collaborate and meet other (un)like minded people. 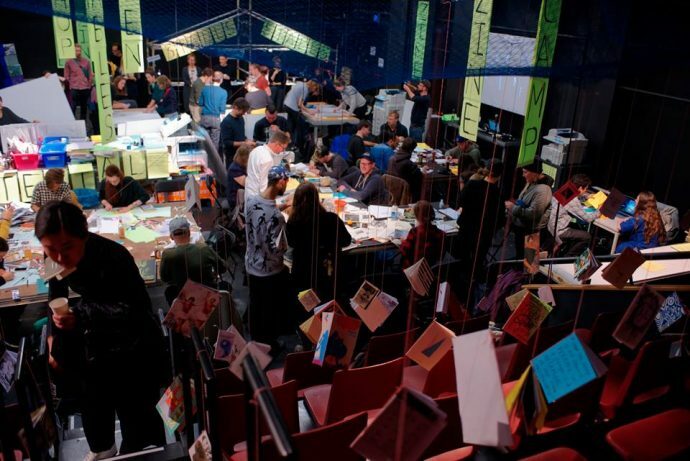 To facilitate this, Zine Camp is primarily set up with open workspace tables to make your zine during the weekend with free basic zine-making materials and copy machines for everyone to use. Next to that there will be workshops, zine stalls, talks and events. Bring your friends and make new ones at Zine Camp! Everyone is welcome. Watch this space for more info about workshops, open calls and talks.